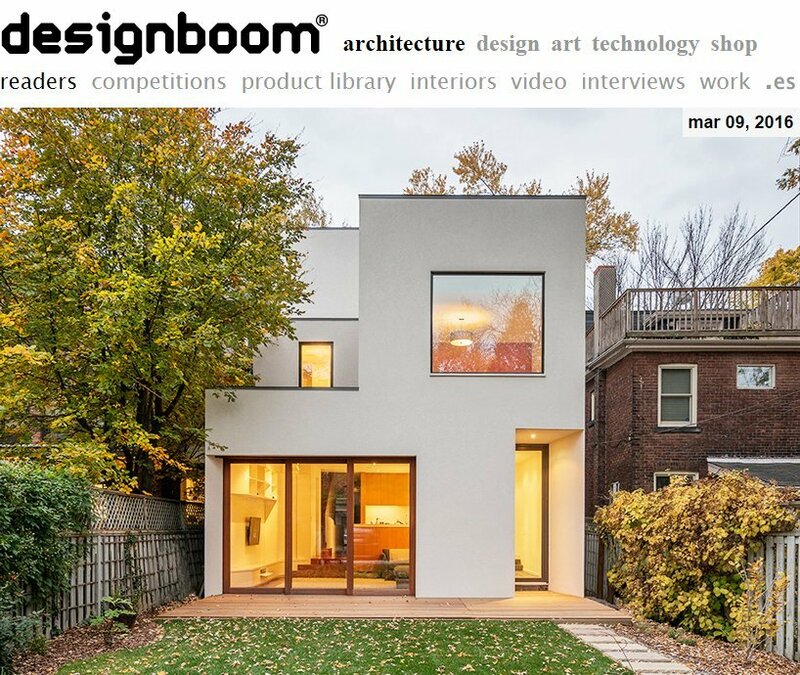 Designboom publishes the Roxborough Residence | Williamson Williamson Inc.
“Canadian architecture practice Williamson Chong has transformed a narrow Edwardian property in a suburban neighborhood of Toronto. The existing home was a poorly renovated residence, and required a complete overhaul in order to provide spacious and comfortable living accommodation. Beginning at the front elevation, every effort was made to produce open and airy family-oriented spaces out of what was previously a cluster of small and awkward rooms.” Please find the link here. Many thanks to Birgit and Philip for publishing this project. The stair is one of our favourites!